The chicken lost its head, the cow’s guts are out in the open and blood is spurting all over the screen. The protagonist of Gobble Up is employed at a meat processing plant. Work at a production line where processes are automated has made her approach her job and its effects in a cool-headed way devoid of emptions. Each day, she makes chicken for dinner, but one day, a piece of meat starts staring at her in a strange way. 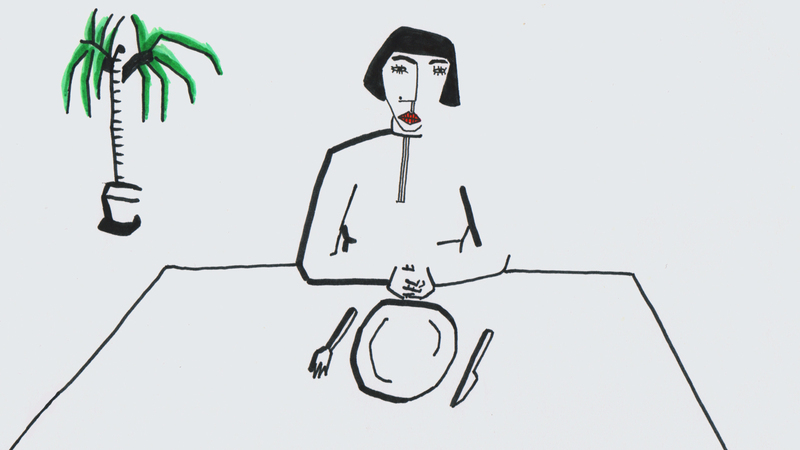 "Eatself" is a grotesque animation about what ends up on our plates. Not only for the people with strong nerves or vegetarians.